Full feature published in October issue of Rhythms Magazine - excerpt below. I feel like I’m walking down a long, brown country road, dust on my boots, the sun beating down upon my head. But I’m not, I’m sitting at my desk in Brunswick Heads. I feel like I’m in an old hall in some small country town, old couples dancing slowly to the band up on the stage, plates of sandwiches and lamingtons just over the way. But I’m not, I’m sitting in the chair out the front, smoking a cigarette in the sun. I feel like I’m walking through the woods, twigs snapping under foot, big ol’ trees towering overhead. But again, I’m not, I’m driving up the Pacific Highway towards Brisbane, far removed from the life I’m feeling, the life I’m living almost the polar opposite. So why am I feeling these things? Why am I being drawn into someone else’s world so effortlessly? What is this world and where is it even coming from, picking me up and embracing me so endearingly and acting like it’s my own, but really it isn’t real. Not for me anyway. The reason is the power of a song, of a collection of songs, the lyrics lapping at my subconscious like waves upon a shore – they’re there, but they’re not mine. The power of a song indeed, taking you places you never thought possible, whilst never really taking you anywhere at all. The songs are part of a record, a new record, from an artist and a band who I’ve been listening to a lot recently – at my desk, out the front in the old chair, in the car on the road. And these are songs that mean something to the person who wrote them, who is singing them, and that is what makes them so powerful, that is how they’re pulling me in, making me feel like I’m somewhere else. 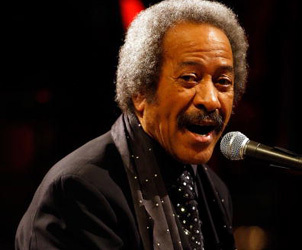 They’re songs about a life lived, sometimes vicariously, but mainly from the point of view of the author, one Sal Kimber, a musician with a lot to say, and the skill to say it in a way that resonates with you. Whether you’ve been there or not. 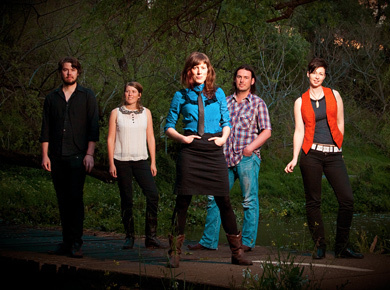 I first saw Kimber, with her band The Rollin’ Wheel, at the Port Fairy folky a few years ago and was instantly drawn in; the lyrics, yes, but also the low-down desperation of the grinding, churning alt.country sound the band produced, the banjo intertwined with accordion and both electric and acoustic guitars. “These guys blew my mind, and I left, each time, wanting more and more”, I wrote in my review of their set, and really, those words don’t do justice to how I remember the band moving me. Since that weekend, I’ve been waiting for them to release another album, and they finally have, and as I’ve said, it’s been taking me places, places I’ve never been. “Probably my Dad,” Kimber laughs, a little self-consciously, when I ask her to list for me, the five main influences upon her music. “He’s been writing songs forever, and when I was growing up, he wanted someone in the family to write songs with him, to be like a sounding board… that’s what made me fall in love with writing. 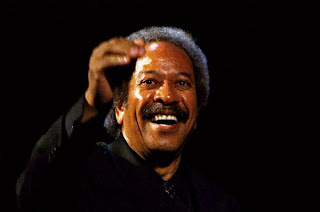 He was very passionate about telling stories about things that were around, because I think he feels that without these songs, some of our history will get lost. He’s very passionate about it, when I show him a song, he’ll be like, ‘What is that about? Can you relate to that?’ He’s very honest with me. Kimber grew up in regional Victoria before relocating to Melbourne around five years ago. She released a self-titled EP in 2005, and her debut LP, Sounds Like Thunder, in 2008. Shortly after that, she assembled her current band, The Rollin’ Wheel (which comprises of sister Buffy on keys and accordion, Cat Leahy on drums, guitarist Jacob Cole and bassist Trent McKenzie), and it’s been on the up and up ever since. 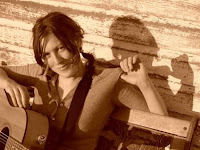 Kimber has won The Young Artist’s Award at the Port Fairy folky, the Acoustic Jazz Award at the Wangaratta Jazz & Blues Festival and the APRA Darebin Songwriting Award. Sal Kimber is a serious, underground songwriting talent in the vein of Mia Dyson and Clare Bowditch, and this new eponymous LP, proves that beyond a doubt. 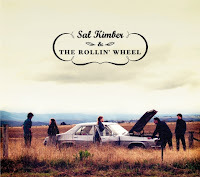 Sal Kimber & The Rollin' Wheel is available October 14 through Vitamin Records. An abridged version of this story was published in the October 2011 issue of Rolling Stone, the original version being cut due to the "...ad dept needing more pages." Here, the original is printed in full. In early May this year, Treasurer Wayne Swan handed down his fourth federal budget, one which included, amongst other things, “sweeping funding cuts” designed to bring the deficit back to surplus by the year 2013, a bold move and one which was met, predictably, with both praise and strong opposition. 2007’s Global Financial Crisis (GFC) was the catalyst for this tactical decision, and as such, despite the fact Australia was the only western country to avoid the crippling effects of the GFC, these cuts will be felt across the board, at least in the short term. Building is indeed what the current Labor government is looking to do, an outcome (albeit a belated one) of the 2020 Summit held in April 2008, being as Crean says, “to develop a cultural policy”. This comes at a time that, according to Kathy Keele – CEO of peak Arts funding body, the Australia Council – is crucial to Arts in Australia. “Over the past ten years, there’s been an awful lot of work finding out whether artists are making a living, identifying what organisations we have and how healthy they are,” she says. The result here, of the 2020 Summit and subsequent “ongoing discussions” with “cultural institutions”, is the proposed National Cultural Policy (NCP), something Crean has been quoted as saying is his “number one priority as Arts Minister”. “The National Cultural Policy is the opportunity to define the importance of a Creative Arts to the development of a stronger, more sustainable, more self-confident nation,” he explains. “The Arts and the creative industries are fundamental to a nation continuing to develop that innovative, creative edge. Executive Director of the Australian Major Performing Arts Groups (AMPAG) Sue Donnelly, along with Keele, is very supportive of an NCP, but she brings up a very pertinent point: “We haven’t heard very much at all in terms of what’s going to be in there,” she told me early in August, and this is indeed a very telling statement – not many people have been told what the NCP will entail exactly. This is made all the more alarming when you take into account the fact Minister Crean has stated that the government is looking to implement this policy “by year’s end”. When pressed to expand further, to explain what, exactly, the policy will entail then, (is it a charter that will provide specific funding to certain groups? Will it create support networks for the arts? Or is it just a statement of intent to support certain organisations and areas within the arts? ), Crean’s office said (amongst other things), “A renewed National Cultural Policy will ensure Australia doesn’t miss important opportunities to tell our stories, educate and skill our workforce and enable our culture to connect with the rest of the world.” This does not answer the question, and despite the fact Crean’s office has been given several chances to aptly explain, no viable answer has been forthcoming, not even in the Senate. 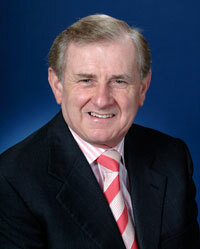 “I wanted to ask about the National Cultural Policy that the government announced it was going to develop at the last election, which no one seems to know much about in subsequent estimates hearings,” Senator Gary Humphries, the Liberal Senator for the ACT asked, quite pertinently, during the May Senate Estimate Hearings, and there were more than just a few people quietly agreeing with him. The idea for this particular National Cultural Policy (the first since the Keating government’s Creative Nation in 1994) was first raised at the 2020 Summit over three years ago. The resulting report had the proposed NCP as something “… the government will further consider”. From there, the idea was taken up by now ex-Arts Minister Peter Garrett, but reading now through Hansard, the official record of parliament, it would seem not a great deal more has happened since. A very good question indeed, and one which Minister Crean’s office was again unable to answer specifically. It almost seems Labor are looking to quickly capitalise on an election promise, favouring speed over quality – talk is cheap after all, and even then, there doesn’t seem to have been a lot of it, not in the public arena anyway. It is this paper, along with the Mitchell Report (a report being put together by philanthropist Harold Mitchell, investigating corporate sponsorship of the Arts), that will no doubt inform the eventual NCP, but is it coming a little too late? Deputy Opposition Leader for the Senate (and Shadow Arts Minister) George Brandis’ office says, “...the arts community should view the instrumentalist approach which underlies the discussion paper with skepticism and alarm.” I would view it as a good idea which at this point, seems to have no structure, it seems to be rushed, and this is folly indeed. Added to this is the fact Minister Crean cannot outline any specific outcomes of the NCP, and this is quite alarming. For what good is a cultural policy that this late in the game, has no specific outcomes, and indeed, no specific outline? The NCP must be one of the most thought through, thorough and deeply considered pieces of policy in recent times; this is not the time to hastily fulfil a promise, this is surely a time to think carefully before we act – the NCP must reach the high standard all Australians demand, and deserve. To be honest, I’m not a great fan of Augie March. Although I wholly appreciate the importance and the strength of their work, it’s never really hit a chord with me and whenever their music comes on the radio or whatnot, I’m wont to switch stations, or indeed, turn the damn thing off. 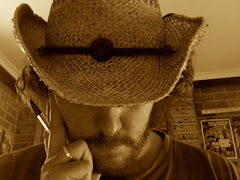 Having said that however, I am an admirer of Augie frontman and songwriter, Glenn Richards, a man who has proven beyond a doubt that he’s worthy of consideration for inclusion in the canon of Fine Australian Songwriters. Of course, perhaps this is a contradiction – how can one like a man and his musical nous, but not the band he’s used, mainly, to convey such? 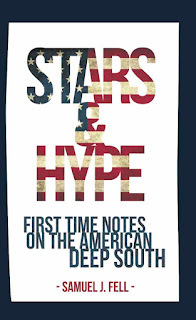 Indeed, but it goes a bit deeper than that; what I admire most about Richards, is his ability to convey a story through song, and this is no easy task. A good songwriter, a great one, is able to do this seemingly effortlessly, and no matter how they do it – whether it be singing opera, thrashing some metal or writing children’s music, it doesn’t matter – it’s still a great song, and Richards is a dab hand at this to be sure. 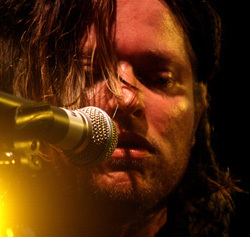 Late last year, he proved this – outside of the ‘safe’ confines of Augie March – by releasing Glimjack, his debut ‘solo’ release, and one which whilst it didn’t set the charts alight, proved that this was a man who was, at his core, a songwriter, and not just the frontman for a long-serving Australian indie/rock band. 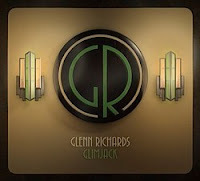 By all accounts, Glimjack was a learning curve for Richards as you’d expect, and now that it’s been out and about for almost a year, he’s philosophical about its impact, about the process in general. “Yeah, we weren’t really able to get any of the songs out there, to really build a tour around even,” Richards muses. “But I can only be honest about it, and it’s not something that greatly worries me now… it was just an unfortunate situation, and was almost a carbon copy of the experience we had with the last Augie March record (Watch Me Disappear, 2008) where everyone working on the record [at the record company] was fired or quit within the first couple of months. “When that happens at a label, generally that means the death of an album,” he goes on. “So it got to the point [with Glimjack] that it was impossible to get a single out… radio weren’t just gonna play your songs – you’d hope they would, but they won’t – so it kinda died a pretty swift death.” It seems it did, in all but a few diehard’s collections, destined to become a cult record, the first ‘solo’ release from Augie March frontman, Glenn Richards.